Need Baldiez but don't want to pay hideous hazzardous shipping charges? we have a solution! This also means if you're wanting to take a flight, no problem! Without the Acetone it's not flammable and Acetone is pretty cheap and readily available worldwide. Directions: Pour in Acetone up to the base of the neck of the bottle. Screw cap on firmly and shake gently until all beads are coated with Acetone. Turn bottle on daily until all beads are fully dissolved, this will take approx. 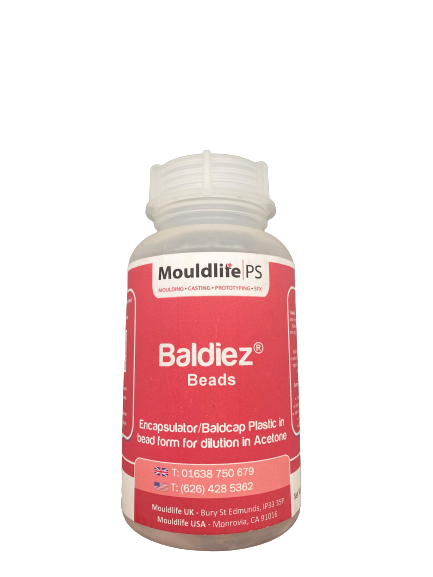 4-6 days (depending on the temperature) 100g of Baldiez Beads will create 500g Baldiez.